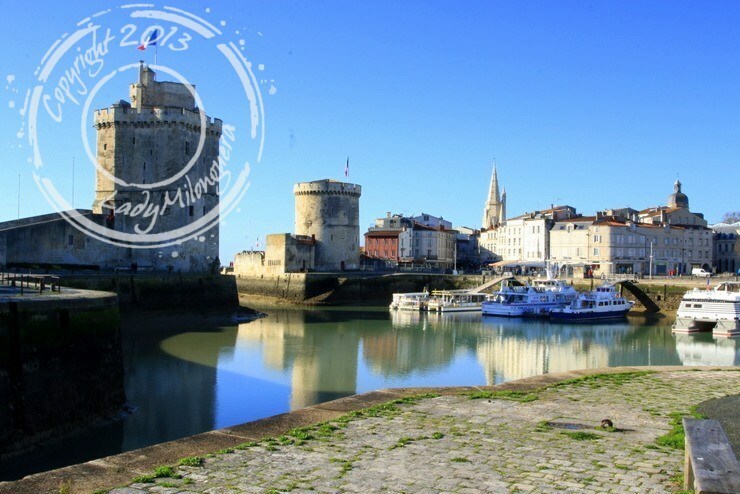 As a few of my stays abroad, this weekend in La Rochelle was designed first to accompany and support my mother while she attended the marathon organized by the city, the last weekend of November. My father is being paraded a few weeks before, it is to me that she turned to do not have to go there alone. In this context, we need to associate tourism/discovery of the city and preservation of the abilities of my athlete’s mother so that she only draws on its reserves prematurely… Thus, we try to remain reasonable with respect to the market and especially, especially, it avoids queues where trampling likely to user… Therefore, in trying to meet its constraints that we are parties to the discovery of La Rochelle. 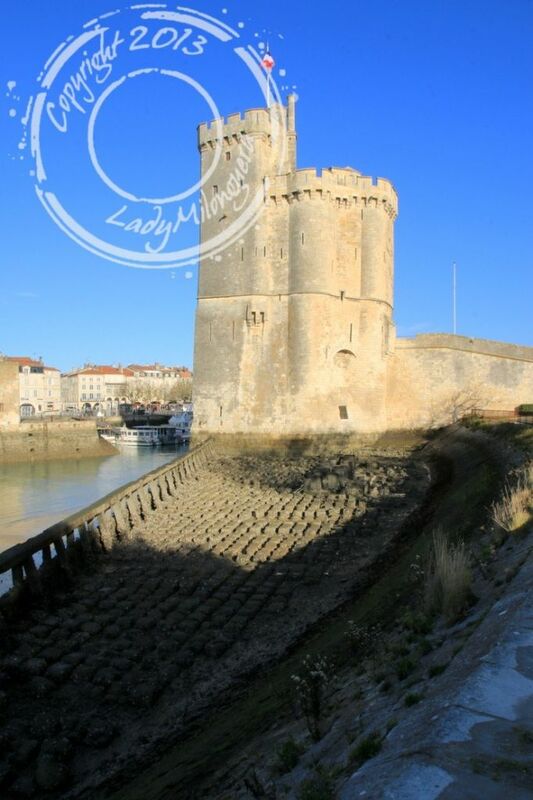 Impossible, to discover this city without noticing the 3 iconic towers that give the old port all its character! If we had planned to discover the 3 towers, the planning of the closures of these 3 monuments not allowed us to visit than the Tower Saint Nicolas, leaving us on our hunger for the other 2 us amazing appeared for a weekend of tourist crowds. It is also unfortunate because from the comments I could see here and there, it is the Tower the less interesting to see, because of the vacuum of its development. 42 m high, this tower is actually a real Fortress. It was indeed designed in the 14th century, to defend the pass; It is therefore a majestic entrance door. Built on marshland, foundations, that rely on a slab, is not enough to support the large structure. Suddenly, the Tower began to lean just a few years after its construction, and despite work to stabilize and the restore its verticality, the ground still shows a gradient that revolves around 2%. This urban Dungeon was the captain of the port and its guard. This last was appointed by the Mayor of the city for 1 year and should no longer exit this tower for the duration of his office. At its feet, my mother and I observe from strange systems, unveiled by the low tide. Information taken, it is the Ponts & chaussées laboratory experiments to study the resistance of coatings of the roads against the weather and exceptional natural events. During the visit, we discover that its thick walls, between 3 and 6 m depending on the location, host a maze of corridors and stairs… There are strong bet that without the signs especially now, we would have had all the sentences in the world to find the exit. However, the “treasure hunt” turns out to be fun to follow, to the rhythm of the numbered parts, and attention is required for up/down some stairs to the intimidating stiffness. The bushings parts each have various remarkable architectural details. Thus, on the ground floor, the rooms the watchman and the shipowner are decorated with arches for vaulting in carved red. At the top, the home room is crossed by 2 Oakley linking it with the room of the owner and the master room, located at the top. The oculi, which are more aligned today due to the inclination of the Tower, used hoists, megaphones and l’assommoir. On the 2nd floor, the Troubadour room owes its name to the statue of a musician; It has the distinction of having a skewed warheads ribbed Vault. Captain, her room and a large octagonal room that was the residence of the captain and his family. Rather playful, the visit is interesting to do with beautiful architectural curiosities, but we still regret that all these parts were left empty and that no effort has been made to refurnish them, including the room of the captain who amply deserved it.